IFJ Deputy General Secretary Jeremy Dear who chaired the panel said: “It is clear we need laws that protect us that are properly implemented and enforced, we need action to tackle impunity, we need resources in our newsrooms, training in both security and digital security, for the state and employers to fulfill their responsibility for safety and for strong protections for sources and whistleblowers. Our unions and associations have shown they are committed to fighting for these measures and defending investigative journalism in the face of a range of threats”. 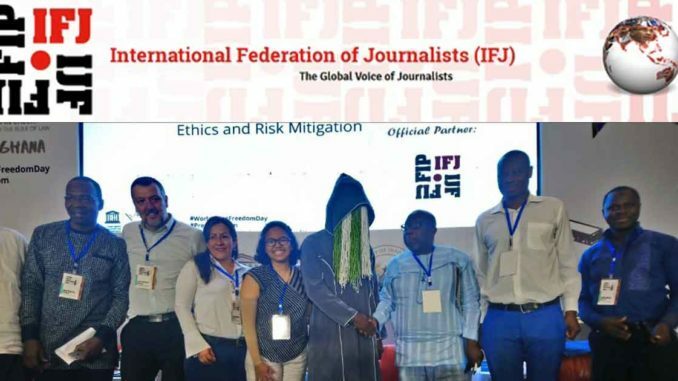 Brussels, 4 May 2018 – Investigative journalism will be threatened if journalists lack proper protection, equipment and resources a meeting hosted by the IFJ at World Press Freedom Day event in Accra, Ghana has heard. 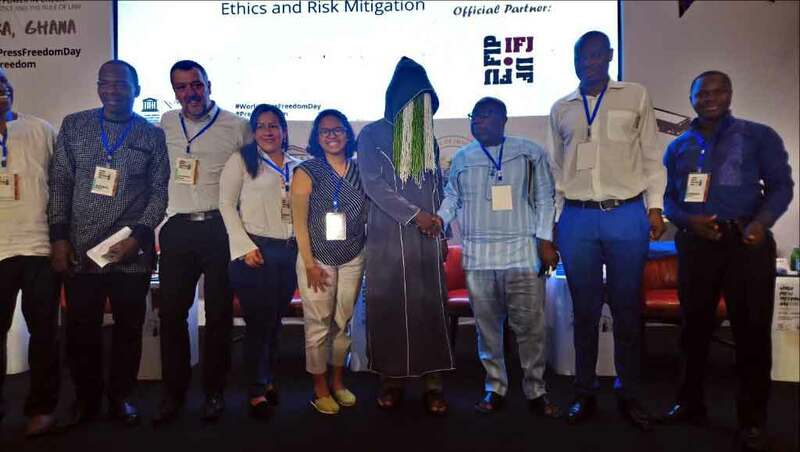 Journalists and union representatives from Kenya, Colombia, Indonesia, Ghana and Nigeria explained the threats faced and the failings of safety mechanisms, law enforcement authorities and media organisations to provide the support necessary to ensure journalists can continue to fulfill their mission. Adriana Hurtado, President of FECOLPER, Colombia said too often journalists were let down by the high levels of impunity which were leading to an increasingly censored or self-censored journalism. Citra Prastuti of the Alliance of Independent Journalists in Indonesia called for better enforcement of laws designed to protect the media and journalists alongside stronger protections for whistleblowers. Dopo Olorunyomi of the Premium Times in Nigeria said it was vital news organisations found ways to make journalism pay so they can properly resource investigative journalism. Erick Odour of the Kenyan Union of Journalists called for a stronger voice for workers in the industry and for employers to take fulfill their obligations to protect journalists carrying out investigations. The International Federation of Journalists (IFJ) is the world's largest organisation of journalists. First established in 1926, it represents around 600,000 journalists in 187 unions and associations across 146 countries worldwide. You can follow us on Twitter and Facebook and subscribe to our news updates. Serbia’s Otpor! The Dishonest Career of the Remarkable Srđa Popović. Who is Slobodan Djinovic?